Yes, I took the time to take a picture of me enthusiastically holding food to my face. It’s only going to get weirder… buckle up. We’re gonna talk skincare. I’m gonna be putting that food right on my face. A few months back, I found myself in a heated argument with my skin. I had recently come off of oral contraceptives, and my skin was letting me know that it disapproved of my life choices. It fought back with dry patches and a heck of a greasy T-zone. Then there was Carl. Carl was the angry blemish that kept on rearing his rosy head right on my chin. He was big and unsightly and a little bit of a diva. Kind of like that really loud friend you had in college that you could never seem to lose at a party. That’s Carl. He had to go. I was using some of the most “gentle” facial cleaners on the market, but my skin still felt itchy, dry and just stressed the heck out. One morning, I was reaching for my bottle of cleanser and just happened to flip that thing around to the ingredients. Whoa. I have no idea what any of that stuff is. Chemicals abound. There were probably forty ingredients in there, and all of them seemed to just be feeding Carl and his host of real bossy friends that seemed to be joining the party with each passing day. I was hosting a rave on my chin. Enough is enough. In an emotional, acne-driven panic, I texted my friend, Becca. She tends to know things about skincare and potions and beekeeping and herbs. I like her. She recommended I wash my face with honey. Um. I think my text response was something to the effect of “…” and a couple of freaked out emojis. Maybe she hadn’t heard me correctly. I wanted to get rid of my skin issues, not grow the worlds largest bee beard. Side note — after Google searching the term bee beard I found out that I am totally related to the person who has the world record for bee bearding. Not kidding. HOLY BEES!! Becca assured me it was going to be the best thing ever and in turn responded with positive life affirming emojis. It’s good to have friends. She recommended Manuka Honey to get the job done right. Manuka Honey is made exclusively from bees in New Zealand who pollinate the manuka bush. Check it out. There are lots of uses for this wonder honey. It’s more potent in anti-bacterial and anti-inflammatory properties, which helps it to balance your acne situation since most blemishes are the result of some sort of bacteria. It’s somehow not drying, but not overly-moisturizing. Every time I use it, my skin feels super soft afterwards. 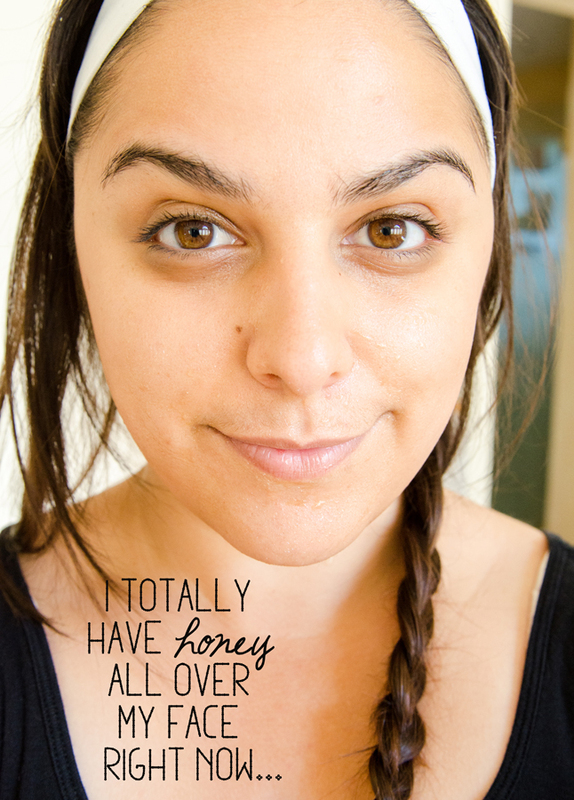 After my first day of honey cleansing, I spent most of the day rubbing my cheek in disbelief. Now, it’s months later and I haven’t needed to use conventional cleanser. My skin has largely cleared up. See ya later, Carl. Okay. I’m gonna walk you through this. I must really like you since I scrambled to take pictures of my make-up-less sticky honey face and put them on the interwebs. Hello world… First things first. Wet your face with warm water. Wet your hand a little. 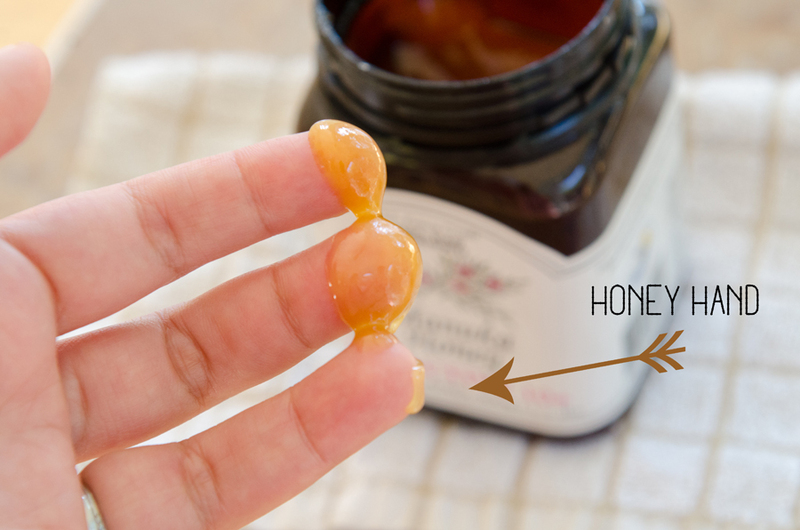 Scoop out about a 1/4 tsp of honey with your fingers. A little of this honey goes a long way, so your container of honey will last quite a while! This step always reminds me of Winnie The Pooh. He would love this facial cleansing method. 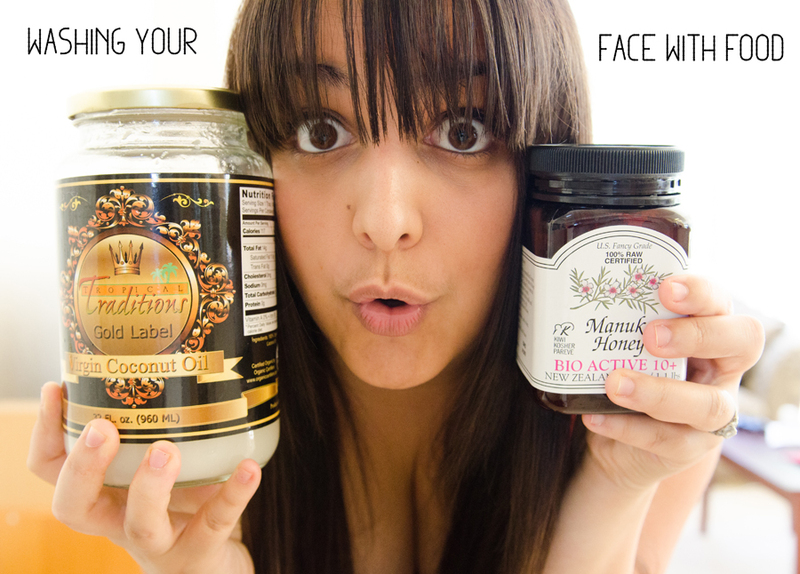 Rub the honey together with both of your wet hands and then apply it to your whole face. Make sure your hair is out of the way. No one likes honey bangs. See… I didn’t get my eyes stuck together. I just have a shiny honey slick all over. I usually let my honey sit on my face for a minute or so. Afterwards, I rinse it off well with cold water and a washcloth, then gently pat my face dry with a clean towel. If I have make up on my face I use one of these towels which helps to get your make-up off SO effortlessly. Unless you opted for the waterproof liquid eyeliner… then I’m not going to lie, there is a little effort. 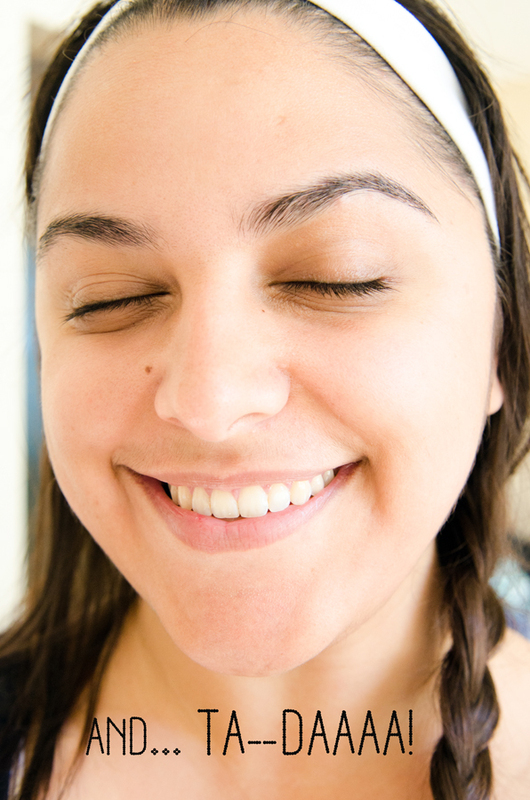 You can slap a little coconut oil on your eyes and that helps. Now on to the moisturizing! After the whole “OMG, what the heck is in this facial cleanser! ?” debacle, I decided to check out the ingredients in some of my other beauty products. My moisturizer had recently started BURNING my face and stinging when I put it on. This is not good, peeps. It is said to be for sensitive skin, but it was really only making my skin more sensitive. Yikes. I flipped it over, and the ingredients list was unrecognizable once again. 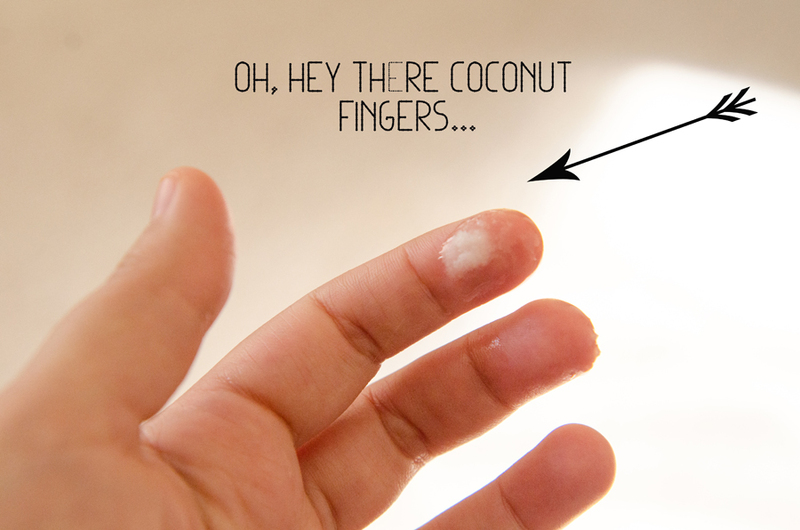 So… how about extra virgin coconut oil? It’s antimicrobial and antiviral which makes it a great choice for acne-prone skin. I was worried the first time I tried it that I would closely resemble a bucket of fried chicken, but this was not the case. It absorbed easily into my skin (and didn’t BURN!!) leaving my skin super soft. You’re going to want to use a very little bit. I use probably an 1/8 of a tsp and more on days where my skin feels really dry. Rub it onto your clean honey-cleansed face and allow it to absorb. This happens pretty quickly. Heck, use this stuff everywhere. I use it all over my body now. AND, your skin is glowing, so you’re doing something right! We’ve switched out our cleansing products and stuff like that already, however, both of my kids are dealing with the surge of hormones that comes with puberty and I think we may need to try this. They’ll think it’s fun. Like when they both got lice, we called the treatment of it “Spa Day”. They sorta enjoyed it, but I did not. Aw, thanks Angie! 🙂 Yes, this whole honey cleansing thing is a lot better than a lice-y spa day! Oy. That’s rough. Yeah, most things are better than a lice-y spa day! Thanks, Josie! I know how scary it is to smear oil on your face. I was pretty much convinced the first time I tried it that I was going to wake up with a crazy zit farm. It’s been AWESOME though! No regrets! Warning to your eyebrows: you are not safe. I’m planning a brow-napping. My perfectly expressive face thanks you in advance. You de-browed yourself? Yikes. I have yet to experience that… and Mama got a big set o’ brows. Do you know what the 10+ stands for? My local supermarket had 5+ only & I can see on the internet that there’s a 20+ too. Do you use sunblock after applying coconut oil?